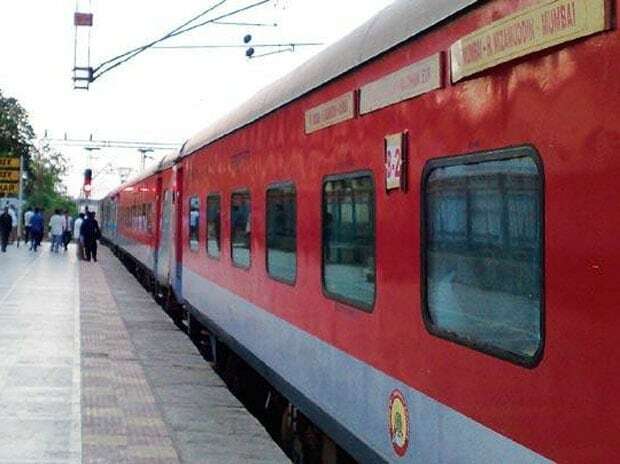 A good response from passengers to the first Rajdhani train on Mumbai-Delhi route through the Central Zone has prompted authorities to think of increasing the frequency of this now bi-weekly train. The occupancy in the train, started in January, is nearly 100 per cent, CR's principal chief commercial manager Shailendra Kumar told PTI. "From day one, we are seeing an overwhelming response. So, we are thinking of requesting the Railway Board to possibly run it daily," he said. He said the train is perfect to go to Agra from Mumbai and to come to Nashik from Delhi. "A big number of passengers are booking tickets for these two destinations," he added. Currently, the other two Rajdhani trains -- one from Mumbai Central and the other from Bandra Terminus -- run on the Western Railway route. This new train is the first Rajdhani in Maharashtra which takes a detour via Madhya Pradesh, instead of Gujarat. Kumar said earnings from ticket sales of the new Rajdhani were beyond expectations and they want more and more passengers to travel in this premium train. The train leaves Chhatrapati Shivaji Maharaj Terminus (CSMT) in Mumbai on every Wednesday and Saturday at 2.50 pm and reaches Hazrat Nizamuddin in Delhi at 10.20 am next day. On its return journey, the train leaves Hazrat Nizamuddin on every Thursday and Sunday at 4.15 pm and arrives at CSMT at 11.55 am next day. Besides CSMT and Hazrat Nizamuddin, it halts at Kalyan, Nashik, Jalgaon, Khandwa, Bhopal, Jhansi and Agra, passing through two significant Hindi heartland states of Uttar Pradesh and Madhya Pradesh. "Halting the train at Kalyan station (in Thane district) has proved beneficial for travellers," Kumar added.